We’ve spent years babying our iPhones and countless dollars on better cases to keep them safe (usually after breaking one and then replacing it). 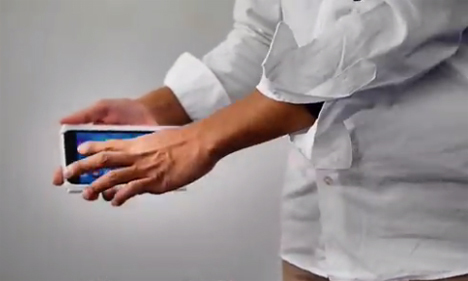 It seems odd, then, that we should be so intrigued by the iPhone Trick Cover from Japanese company Nitto. The cover, only available for iPhone 6 and 6 Plus, makes you look like a slick ninja whenever you take your phone out. 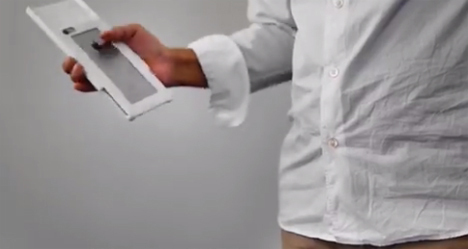 The “trick” in the trick cover is its unique flipping motion. With a flick of your wrist, you can shake that bad boy up like a pair of nunchuks to slide out your phone. Shake it and slide it again and your phone’s screen is protected. Then it’s up to you whether you want to keep playing with it or actually use it to be productive. Judging from how fun it looks, we’d probably never get anything done ever again. But the case isn’t all flash; it also stores your credit cards, ID, and transport passes like a lot of other wallet-type phone cases. When you’re done playing with it, the case becomes a stand for your phone so you can set it down securely on a flat surface. It’ll probably need to rest after all of that ninja-style tricking, anyway. You can also just use your hand to slide the phone case open and closed if you, like us, are terrified of your phone flying out of your hands when you’re trying to look cool. 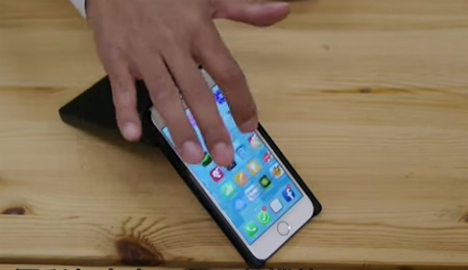 You can buy the iPhone Trick Cover for around $30 at Nitto’s online shop. See more in Phones & Mobile or under Gadgets. January, 2015.